Gold prices are ending the week eking out small gains as the price was unable to break above initial resistance at $1,230 an ounce. December gold futures last traded at $1,223.50 an ounce, nearly unchanged on the week. Keeping a lid on gold prices is a massive nearly 7% drop in oil prices Friday to a new one-year low. January West Texas Intermediate (WTI) crude oil prices last traded at $50.74. 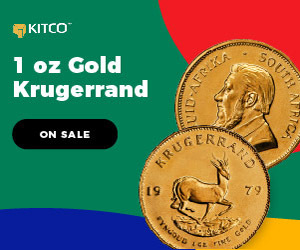 Eugen Weinberg, head of commodity research at Commerzbank said that not only are oil prices weighing down investor sentiment throughout commodity markets, but the move is also negative for gold because low crude prices will impact inflation expectations, he added. 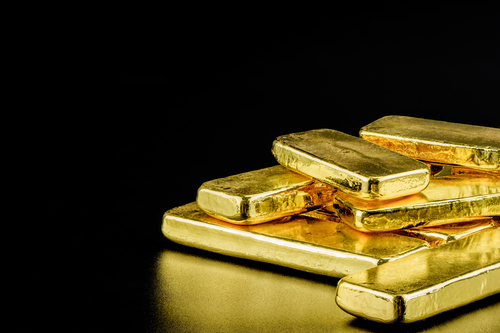 Jasper Lawler, head of research at London Capital Group, agreed that it will be difficult for gold to rally with a weak oil market; however, growing global economic uncertainty creates a compelling environment for safe-haven assets. 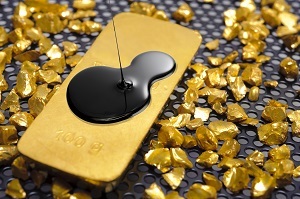 Lawler added that despite oil prices, he expects gold prices to continue to hold above $1,200 an ounce in the near-term. Although weaker oil prices are keeping a lid on gold prices in the near-term, Ole Hansen said that investors might be expecting a little too much from the gold market. He added that he sees gold doing what it is supposed to do, acting as a hedge to growing economic uncertainty. Weinberg said that despite the challenges faced by gold investors, he remains optimistic about the yellow metal in the near-term. He added that shifting expectations surrounding the U.S. economy and Federal Reserve interest rates will hurt the U.S. dollar and support gold prices. Although markets are pricing in a rate hike in December and two rate hikes next year, expectations have dropped for further tightening through the rest of 2019. “It seems as though a shift in Fed rhetoric might be underway. We think the net effect of the arguments Powell raised in his recent comments imply a slower expected pace of hikes next year,” said economists at Nomura. Growth concerns can also be seen in equity markets as investors continue to pare back their exposure to risk assets. This past week, investors saw the S&P 500 give up its all of its gains since the start of the year,dropping nearly 3.5% and extending a to a three-week losing streak. The Index last traded at 2632 points. Mike McGlone, senior commodity strategist at Bloomberg Intelligence, said that he could see the S&P 500 fall to 2,400 points before its current downtrend ends. According to some economists, equity markets could see improving fortunes next week if the G-20 releases positive comments on global trade. Along with the G-20 meeting, investors will also be paying close attention to comments from Federal Reserve Chairman Jerome Powell as they expect he will continue to lay the groundwork for a December rate hike.